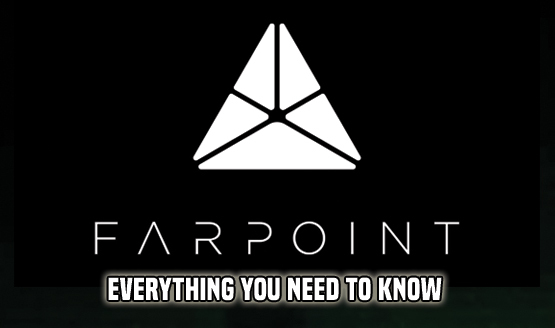 As May 16 draws near, PSLS has put together your one-step guide for Impulse Gear's sci-fi shooter, Farpoint. 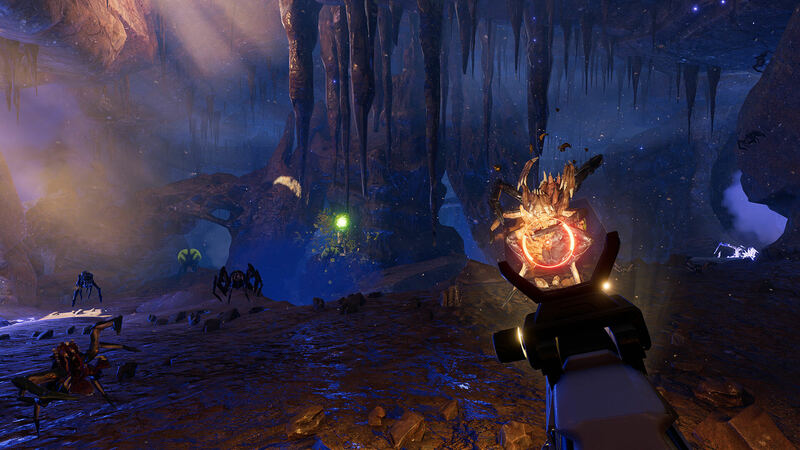 "Farpoint is an unnerving VR space adventure set on a hostile alien planet. On a mission to pick up scientists studying an anomaly near Jupiter, a rupture from the anomaly transports the player and scientists to an unknown alien world." Set on a far-flung alien world, Farpoint gets going in earnest once you, the player, have been sucked into some form of space anomaly (a wormhole, perhaps?) close to Jupiter. Stranded lightyears from home, your fight for survival leads you on a search for The Pilgrim, a space station that may just be your ticket out of this desolate alien environment. 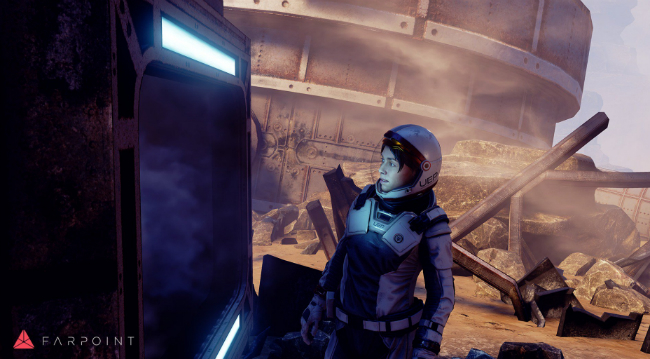 "Having found yourself stranded on an uncharted extra-terrestrial world with only standard issue equipment to keep you alive, you’ll need to set off in search of a crashed space station – The Pilgrim ­– and its survivors to find a way back home. "Master an arsenal of primary and secondary weapons as you freely explore your surroundings, uncovering secrets of the strange Anomaly which marooned you." 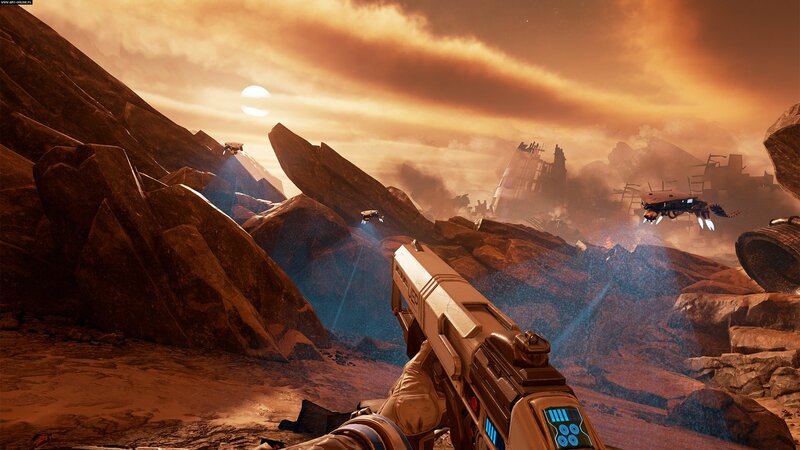 Like your standard first-person shooter, really, the only difference being that Farpoint has the ability to crank up the immersion to 11 and rip the knob off. Should you choose to play with the Aim Controller, expect the PlayStation Camera to track your movement via built-in motion sensors – along with that bright red sphere attached to the muzzle – while Impulse Gear has integrated gesture-based motions that'll allow players to change weaponry on the fly. “We also implemented gesture-based motions which allows you to change your weapon by reaching up to your back. It really pulls you into the world and creates a much more impactful and immersive experience. 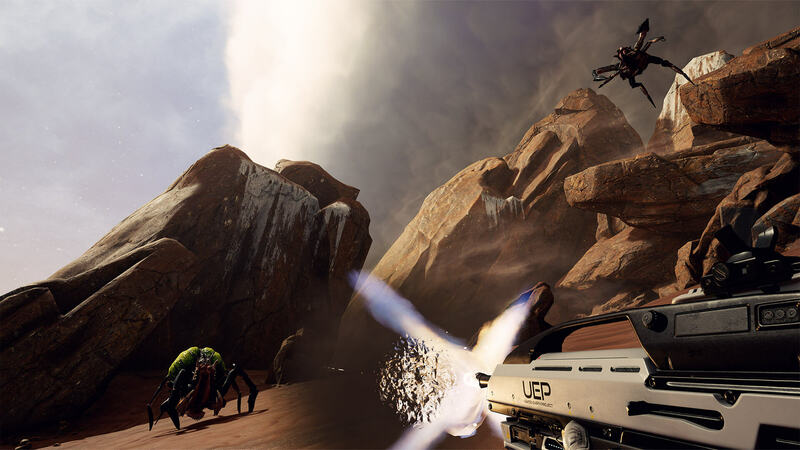 Tailor made for PlayStation VR, Farpoint takes full advantage of Sony's headset in that it envelopes you in a dark and dangerous alien world. Per Impulse Gear, it's understood that the shooter can be played with either the Aim Controller or your standard DualShock 4, but the former is naturally preferable for those on the hunt for a more authentic experience. “Interaction with the PS VR aim controller was really important – the act of holding a physical weapon in your hands, aiming by looking down the sights, reacting, ducking and leaning into cover as you would in real life." Promising 1:1 tracking, the Aim Controller offers "offers the most realistic and precise way to control our game,” according to Seth Luisi of Impulse Gear. And remember, it'll be priced at $59.99 on its own. "How you hold and where you point the controller are directly matched in the game. 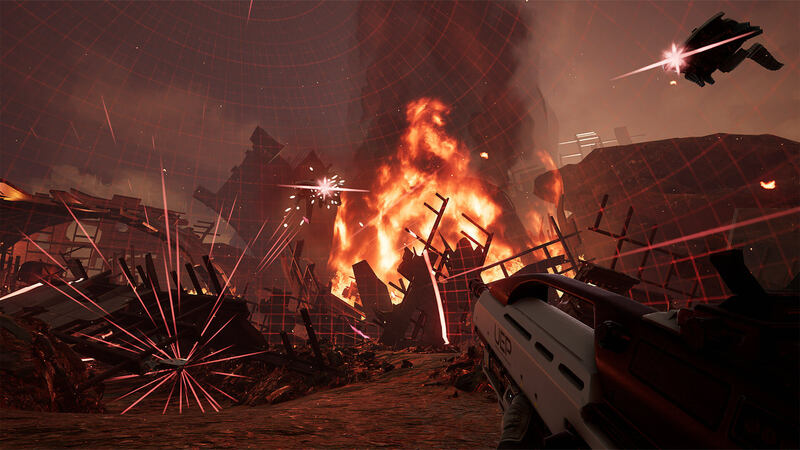 This allows you to do things in Farpoint that just are not possible in a standard FPS game. It also provides an unbelievable sense of presence in the virtual world." How Does That Translate Into the Game? With its haptic feedback and 1:1 tracking, the Aim Controller is shaping up to be the ultimate way to experience Farpoint on PSVR. Precision Gunplay – Integrated motion sensors and a built-in light sphere work with the PlayStation Camera to keep your shots on target and movements lightning-fast. Complete Immersion – Feel the kick as you fire and see your controller replicated as a virtual weapon, giving you a physical connection to your VR world. Adaptive Control – Move through virtual worlds with twin sticks and DualShock 4 controls, built for left and right handed players, keeping you armed and ready to take on any compatible game. How Does the Aim Controller Stack Up? Said to instil an "unbelievable sense of presence," the Aim Controller has garnered a fair amount of buzz ahead of Farpoint's launch. And for good reason, according to our own Chandler Wood. "At the center of the experience is the PlayStation VR Aim Controller. 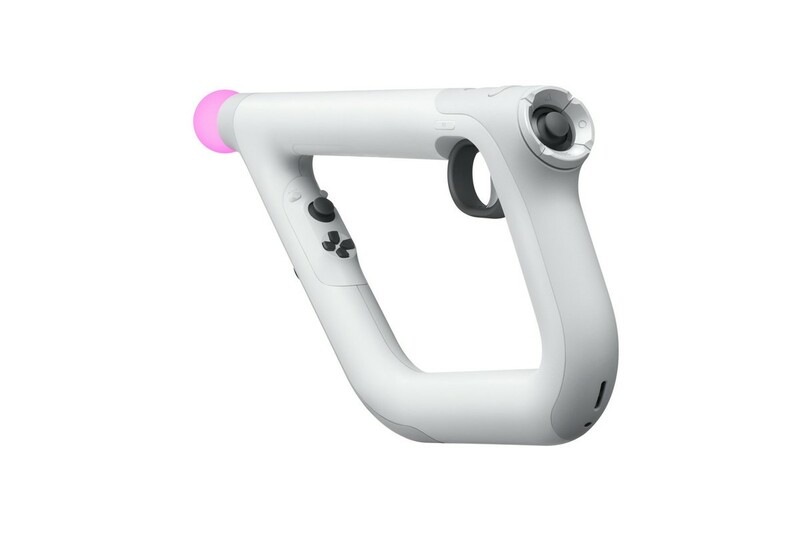 Sony’s gun peripheral won’t be required to play Farpoint, but it sure makes up a large part of what makes the demo fun to play through. The aim controller is mapped realistically in the game, so my hand placement and positioning of the digital auto rifle I’m using to kill bugs are exactly where they are in real life. Small things add to the depth, such as watching the finger pull the trigger when I did, and my digital knees bending when I crouched in real life. Each little detail steeped me in the moment more and more. I wasn’t on the show floor at PSX anymore. I was on an arid planet, a tasty treat for a bunch of murderous bugs." "We haven’t announced them yet, but yes we do. That will be a continuum of development for VR titles." Since its announcement at E3 2016, Farpoint has been featured in not one, but two of Sony's blistering montages. See if you can spot Impulse's imminent shooter here and here. As a wise old man once said, it's dangerous to go alone, and sure enough, Impulse Gear has implemented an element of online play into Farpoint. That means PSVR's imminent shooter will include four co-op maps at launch, which allow you to "buddy up and enter previously completed levels to tackle enemy hoards side-by-side, racking up points for kills and accuracy as you go." It's limited to two people, and both players will need a PS Plus subscription. 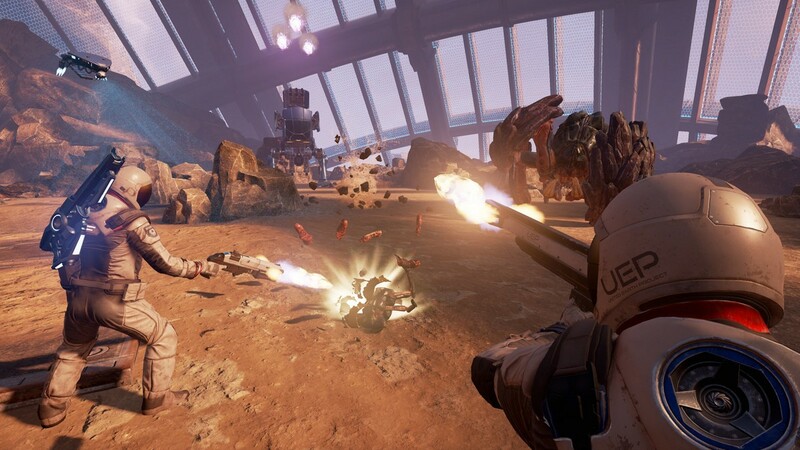 "Farpoint features four new online co-op levels at launch — each level designed to challenge the combined firepower of two players with teams competing for the highest score. 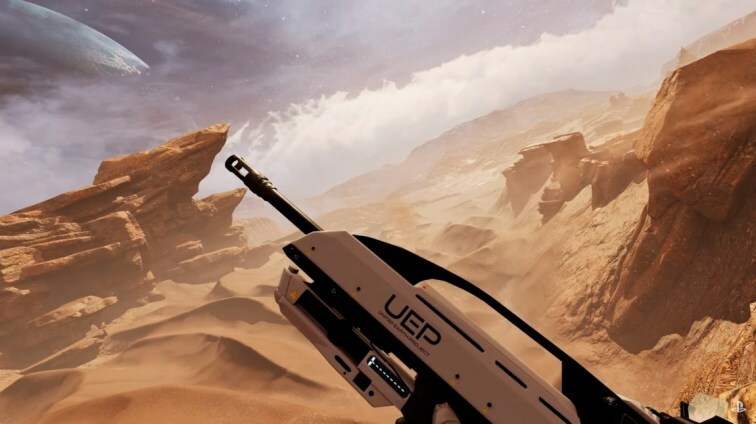 "To help players meet the challenge of Farpoint, we have been working with PlayStation to develop the PS VR Aim controller which simulates the look and feel of a weapon in your hands right down to the virtual scope and built in haptic feedback." Curious to know more about the story at hand? Leave it to this Farpoint stinger to clue you in. "When we started working on Farpoint we knew from the beginning that we wanted it to have a deep and meaningful narrative. We wanted to use VR to tell a unique, more personal story in a way that put the player right in the middle of it. I don’t want to spoil too much as the best way to experience it is in VR, but our new trailer (seen at the top of this post) will provide a glimpse into the story." 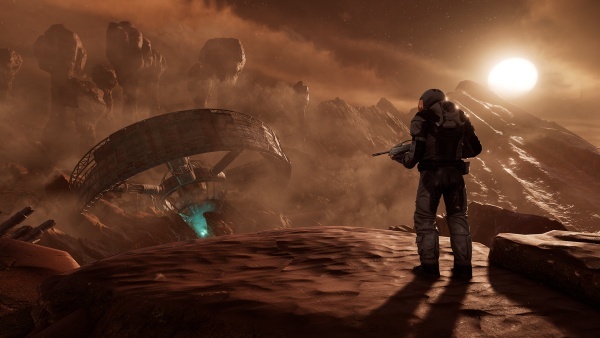 With its impressive visuals and intriguing, sci-fi setting, Farpoint is gunning to be PSVR's flagship shooter. Whether it proves to be a killer app for the hardware, though, will be told in time. Though it missed PSVR's launch window back in October, Sony has been busy marketing Impulse Gear's space oddity from day one, as this trailer attests. It's official: Farpoint has been rated M for Mature. Here's the official description, courtesy of ESRB. 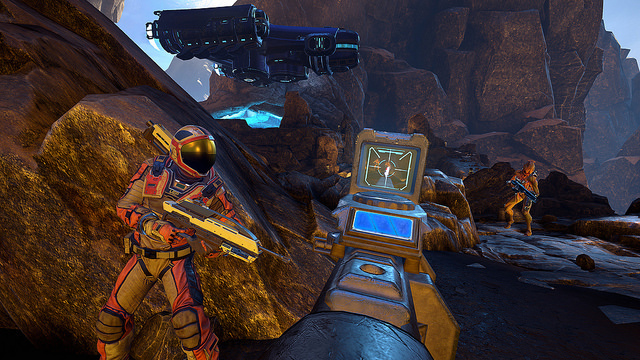 "This is a VR first-person shooter in which players assume the role of a crash survivor on an alien planet. 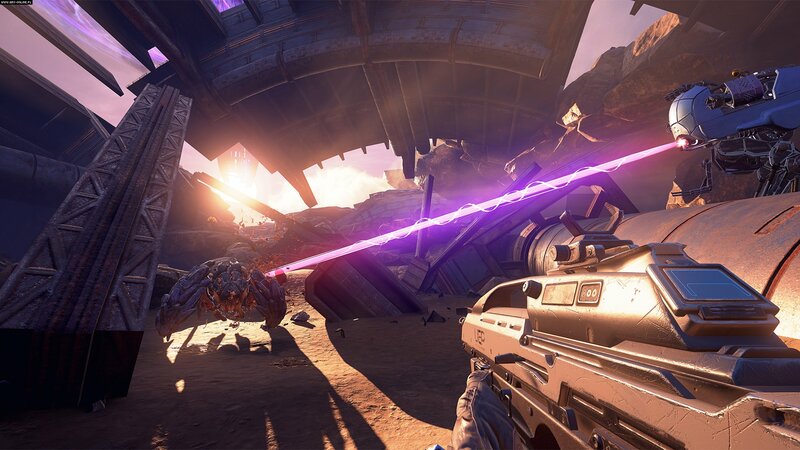 Players use assault rifles, shotguns, and plasma rifles to shoot and kill hostile alien creatures and robotic enemies. Battles are accompanied by realistic gunfire and large explosions. Blood-splatter effects occur when enemies are shot; some attacks result in dismemberment and/or decapitation, leaving creatures' body parts and bloodstains on the ground. The words “f**k” and “sh*t” are heard in the dialogue." Comprised of 47 digital accolades in total – Platinum included! – the official Farpoint Trophy list can be found right here. 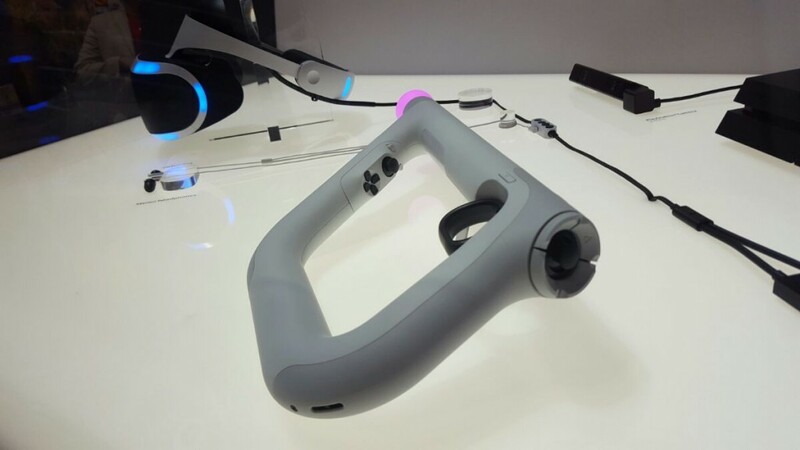 Bouncing off the Aim Controller, here's our official Farpoint preview from PSX 2016. 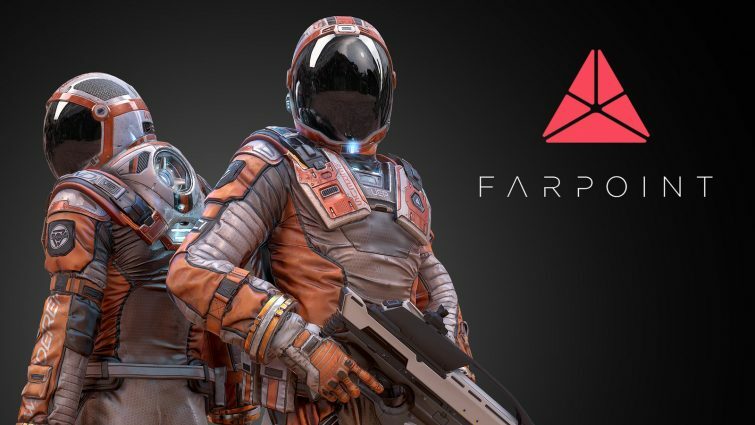 "Farpoint has the potential to be seen as a benchmark title for the future of VR development, particularly in the realm of complete and detailed immersion. For 20 years I’ve wanted to experience the awesome terror that Johnny Rico must have felt while fighting the Arachnids in Starship Troopers (while remaining entirely safe myself of course). 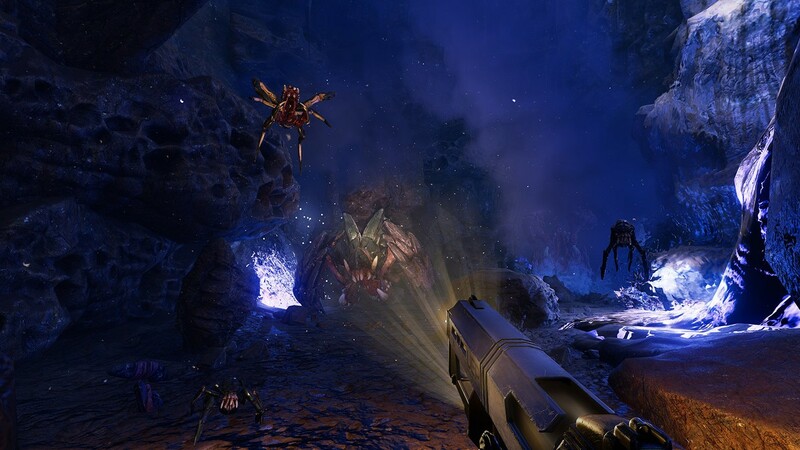 Farpoint is the closest that I’ve ever gotten, and holding that PlayStation VR Aim Controller makes me feel like the kind of badass that can single handedly take on an entire planet full of bugs while subsequently placing a primal fear in my gut every time something skitters, shrieks, or rumbles." 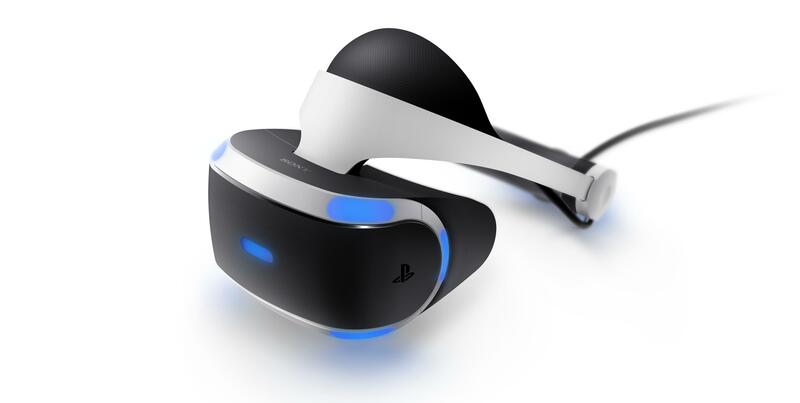 Just in time for Farpoint arriving on May 16, Sony has rolled out another wave of PlayStation VR units for those in North America. Fapoint is built for PSVR and PSVR alone. Due to arrive on May 16, Impulse's shooter will come bundled with the PSVR Aim controller for $79.99 USD ($99.99 CAN). If you already own said peripheral, Farpoint can be picked up for $49.99 USD ($59.99 CAN) on physical and digital formats. Following up on his hands-on preview, our own Chandler Wood will be venturing forth on to Impulse's alien world on behalf of PSLS. Look for his review to hit the site in the coming days.